You could cross-check airlines, spend hours hunting for the best prices and try to cram all of your belongings into your carry-on bag, but why would you want to? Avoid the stress of arranging your own travel and let us do it for you! This deal includes flights and 20kg of checked luggage—how good is that! Enjoy a complimentary full breakfast each morning of your stay at Peppers Blue on Blue Resort! Start your day with a delicious meal that will provide you with the fuel you need for a day full of activities and relaxing. Sip & Sails Sunset Cruise~: Enjoy the magic of sailing on this 90 minute all inclusive sip and sails sunset cruise! Travel on a class 58-foot yacht and taste Australian organic wines, premium beers and a gourmet cheese platter! 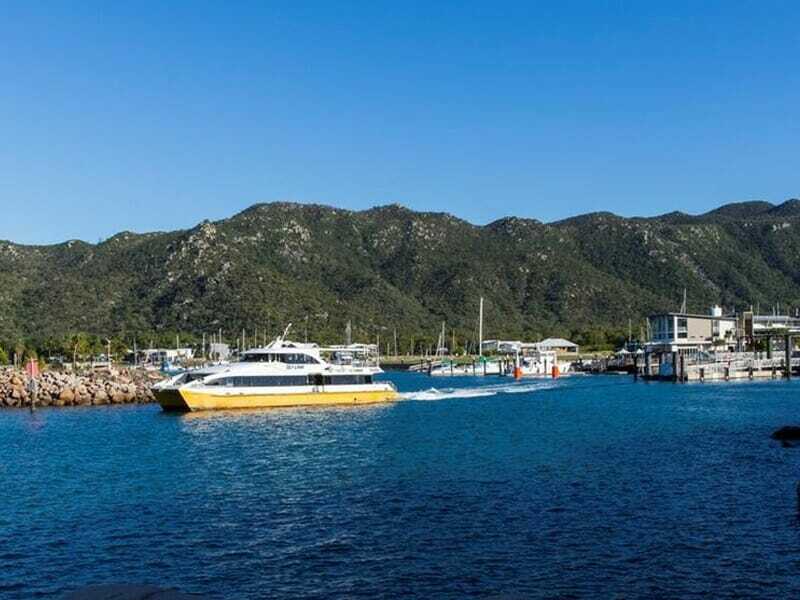 Magnetic Island Discovery Tour~*: This 5 hour tour is the perfect excursion to make sure you see the most of Magnetic Island. Explore secluded bays, beaches and fishing spots as you get to see local marine life with snorkeling on the fringing reefs! Escape reality for a little while & pamper yourself with four $25 spa vouchers to use at your leisure (valid on all treatments of 60 minutes or longer)! Enjoy a massage or a relaxing facial – the choice is yours. 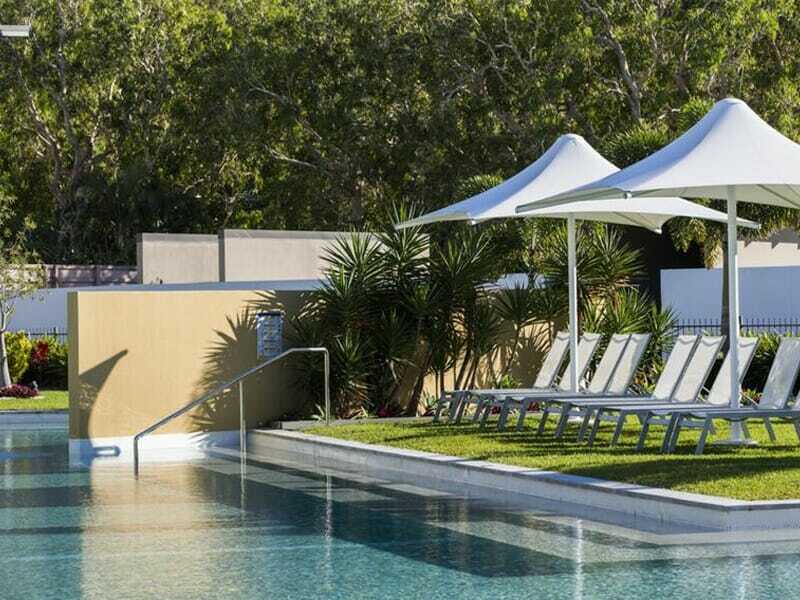 With this exclusive My Queensland package, each guest will also receive 1 x complimentary house beer, wine or soft drink daily at the Boardwalk Restaurant during happy hour (4pm – 6pm) as well as a complimentary snack menu item (per room, per day) between 3pm and 6pm. Perfect for a quiet night in, or a rainy day! You can choose from a selection of recent release in-house movies, that are available to your room every day! You can also stay connected with complimentary Wi-Fi access (500mb data limit)! It’s never been easier to keep in touch with loved ones back home, as well upload all your favourite holiday snaps to your social profiles! Check in and forget about everything else! The housekeeping team at Peppers Blue on Blue will pay a mid-stay visit to service your room. This open plan room has a generous 47sq. metres of space which helps create a feeling of openness. It has a functional kitchenette with refrigerator, microwave, sink and facilities for tea and coffee. The room also comes with full laundry amenities. There is a Queen-size bed and additional bedding is available, so you can sleep 3 guests in the room. If you want a break from the warm weather, the room is air-conditioned and while in your room you can enjoy the large-screen TV with DVD Player and satellite channels. 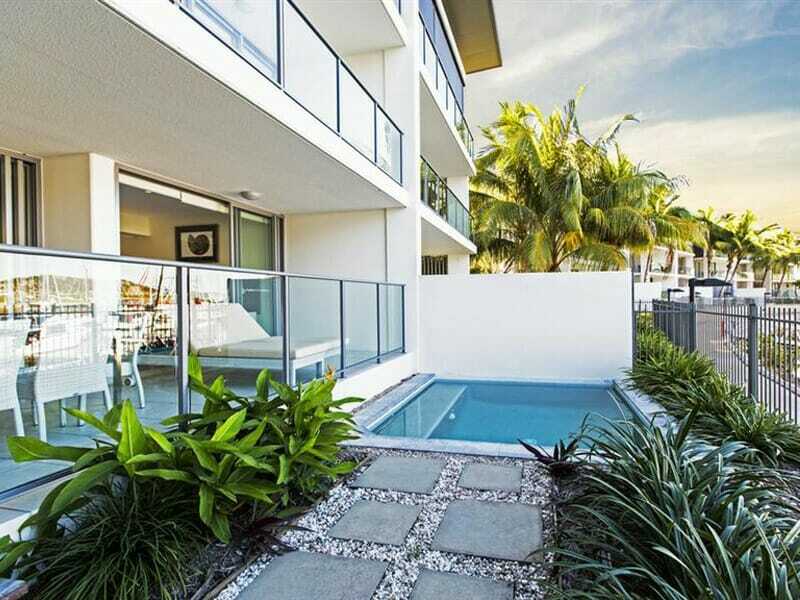 2 Bedroom Superior – UPGRADE from only $400 per person! 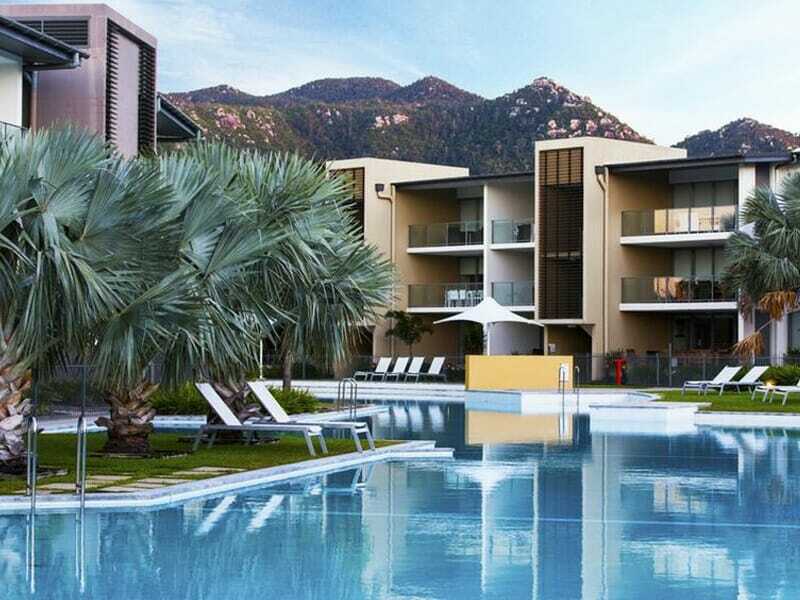 When you’re travelling as a family, this apartment-style accommodation is a great option. There are 2 spacious bedrooms, with bedding options to suit your needs. You have a separate lounge and living area that has a comfortable lounge suite and a TV with a DVD Player and satellite channels, a full kitchen with modern appliances and a balcony with views over the beautiful lagoon pool. There is air-conditioning to keep your space cool and pleasant, 2 full-sized bathrooms and full laundry facilities. 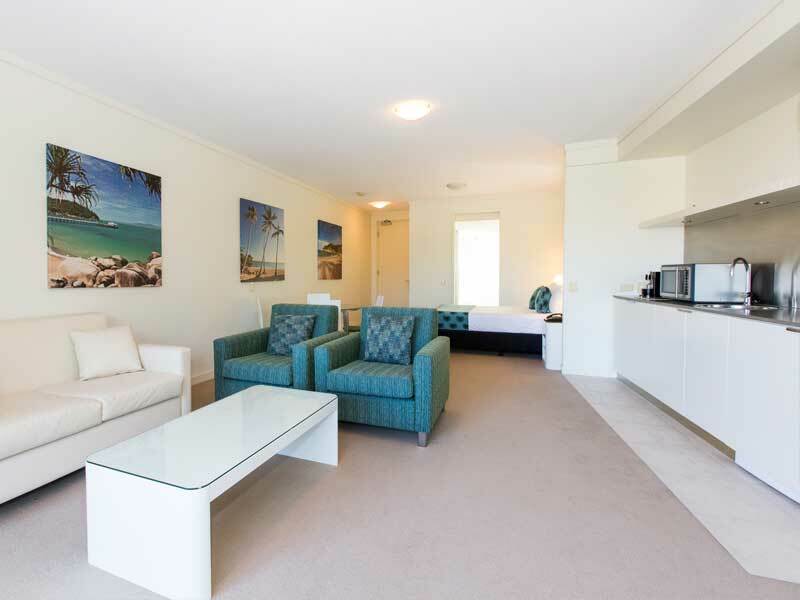 3 Bedroom – UPGRADE from only $700 per person! This huge apartment has 111sq. 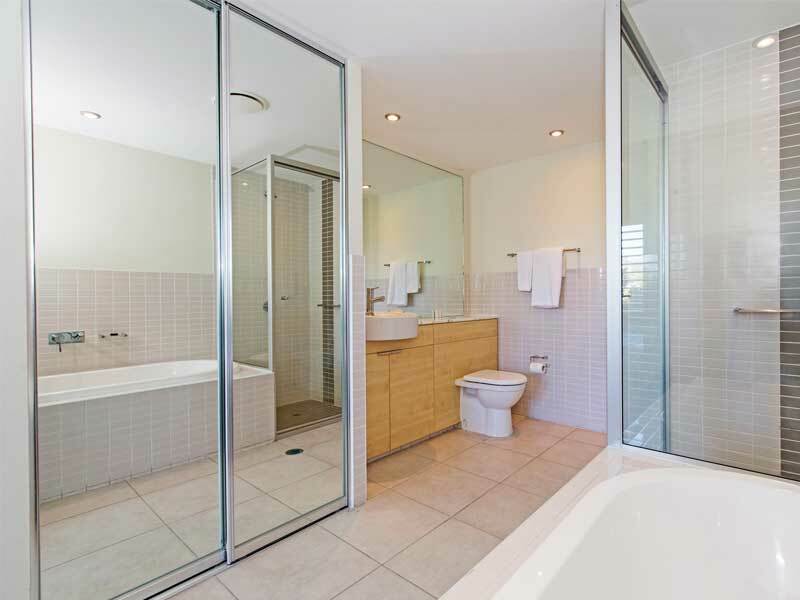 metres of space, including 3 large bedrooms. Depending on the make-up of your family or group, you have several sleeping configurations you can choose from, but the apartment can sleep 6 guests in comfort. 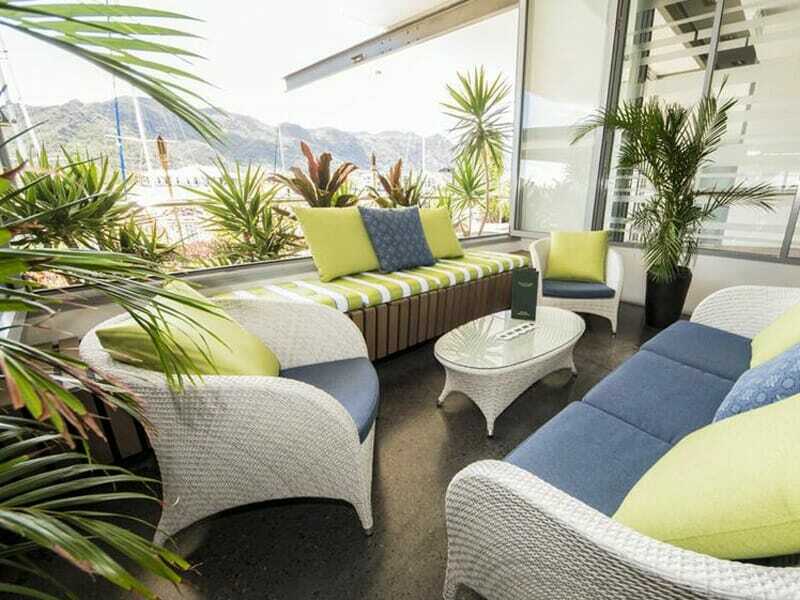 You have a wonderful balcony with a 7-piece table setting, but if you prefer to escape the warmer weather, then the apartment is fully air-conditioned. The full kitchen has a refrigerator, stovetop, microwave and dishwasher. The large-screen TV has a DVD Player and satellite channels and there is also Wi-Fi, laundry facilities and a minibar. 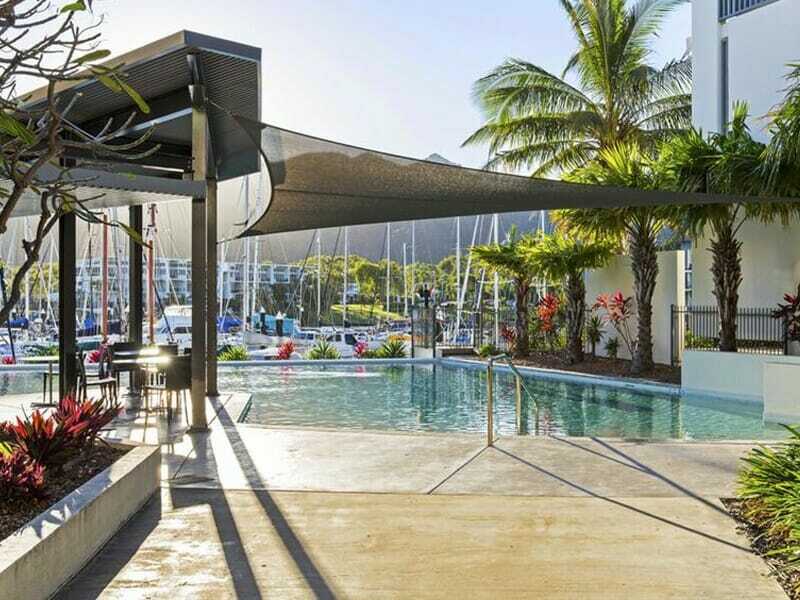 Located on the waterfront on picturesque Magnetic Island, Peppers Blue on Blue has a wonderful position overlooking the ferry terminal and the harbour. 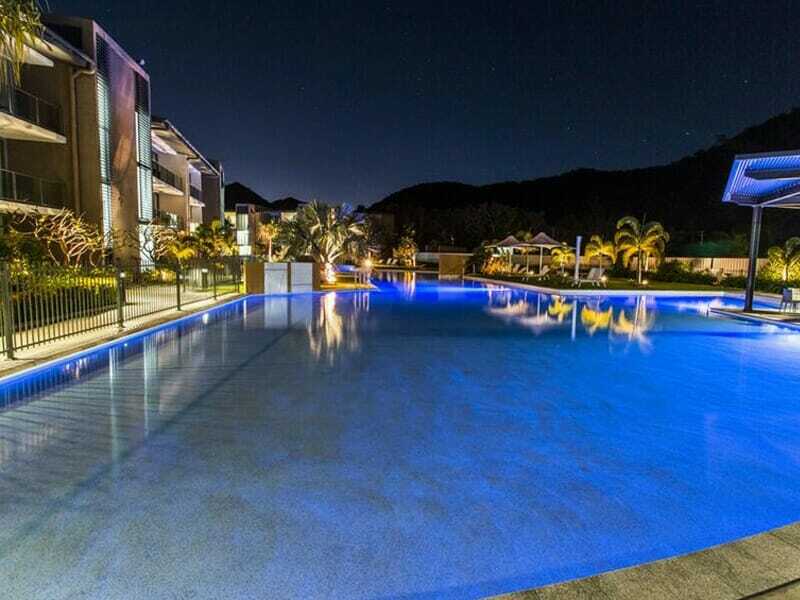 The resort offers guests some great facilities including a first-rate restaurant, blissful day spa and 2 fantastic large pools, all surrounded by lush tropical gardens. 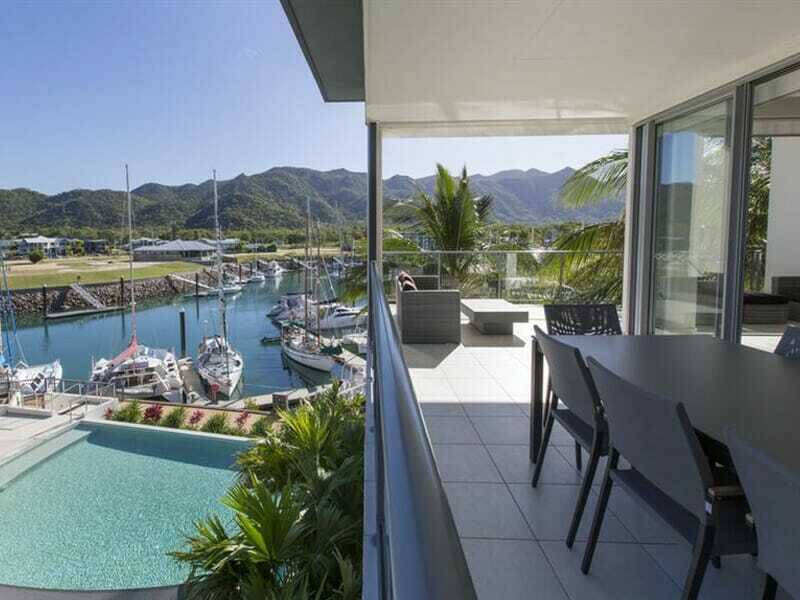 Magnetic Island has lots to do and see, especially for those who love the outdoors and appreciate the natural beauty of the place. It’s an opportunity to do some hiking, bike riding, water sports or see the local wildlife in their natural habitat, including one of the largest colonies of Koalas in Australia. When you are looking for a holiday that can be both relaxing and full of interesting and fun activities, this resort is an excellent option. Read more about Peppers Blue on Blue Resort here!